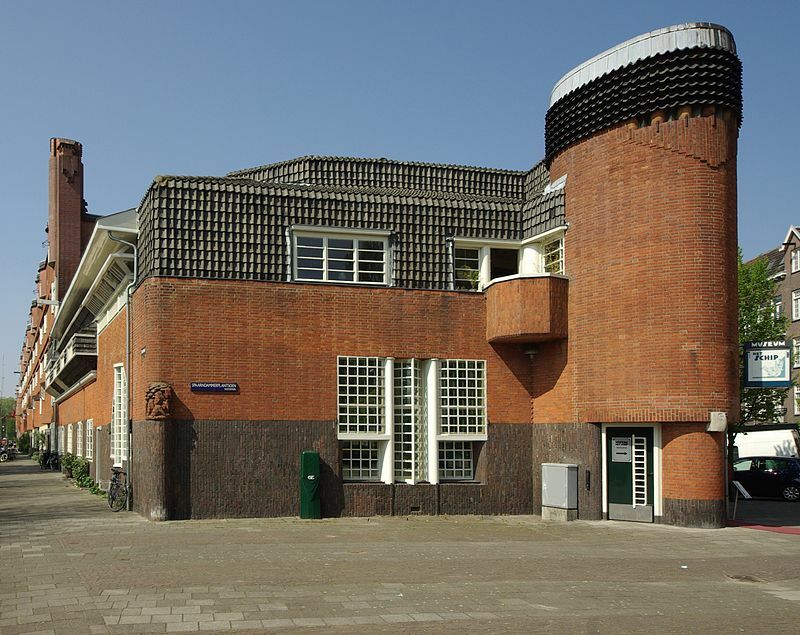 The Amsterdam School is a little celebrated offshoot of German Expressionist architecture, active for a short period between 1910 and 1925 but nevertheless defining large areas of the city’s inner suburbs. While its municipal buildings offer little in the way of innovation, the period coincided with an extraordinary boom in early social housing and its communal ideals laid blueprints for the modernist estates of the twentieth century. Expressionist architecture followed the romantic ideals of the neo-Gothic and even the neo-Medieval, merged with the new shapes and forms of the modern movement. 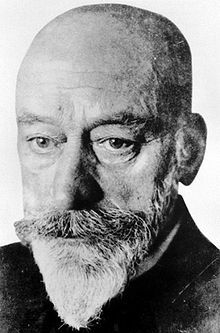 The most famous examples are probably Gaudi’s Barcelona Cathedral and Mendelsohn’s Einstein Tower in Potsdam. These buildings offer no break from past ideas of what buildings are and what they are for, merely rebuilding in a modern style with modern construction techniques. The Amsterdam School’s social housing experiments broke from this significantly, with a philosophy that predates Corbusier’s ‘machines for living’ – they were communal, community-run and self-contained. 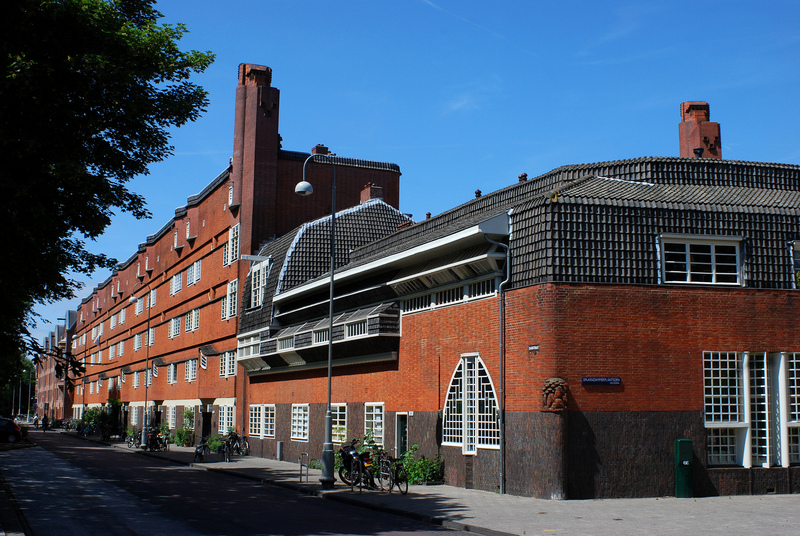 The first significant piece of social housing the Amsterdam School built was Michel de Klerk’s Het Schip in 1917, a housing block north of Amsterdam’s canal ring in the working class shipping district of Spaarndammerbuurt. 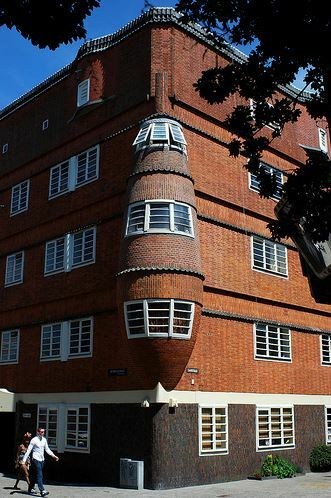 This radical building is decorative, its details and aspects reminiscent of a ship, albeit broken up by courtyards, turrets and gables. Later art deco buildings would take a much sleeker influence from the ocean liner, and Het Schip lacks the coherence of form that would come to define 1920s modernism. Its mixture of function and experimentation, and the resulting surprising changes in vista, echo the organic brutalism of Denys Lasdun’s National Theatre and Owen Luder’s Tricorn Centre in Portsmouth some fifty years later. Built to be self-contained and all encompassing, a mixture of various sizes of dwelling and the inclusion of a school and post office mean imposing, featureless walls give way to spires and courtyards, ziggurats and terraces to cottage gardens and drinking fountains. At first the building is impressively daunting, second rather ugly, but finally enchanting as you explore further. Decorative details by the Amsterdam School’s ‘architectural sculptor’ Hildo Krop underline the desire to make a statement of quality and progression. Het Schip marks a significant break in attitudes to housing the poor. With the influence of the British arts and crafts movement dwellings were built to the highest specification, but in a more communal style. The inclusion of a school and post office – which contained one of Amsterdam’s first telephones – at a time when working-class literacy rates were still low – shows socialist ideals of self-improvement. The ship design is a reflection of the buildings’ tenants’ employment in the nearby docks, and so becomes part of a coherent ideal rather than pointless whimsy. This is enforced at the back of the building, where a courtyard faces an older social housing development built by the Protestant movement. 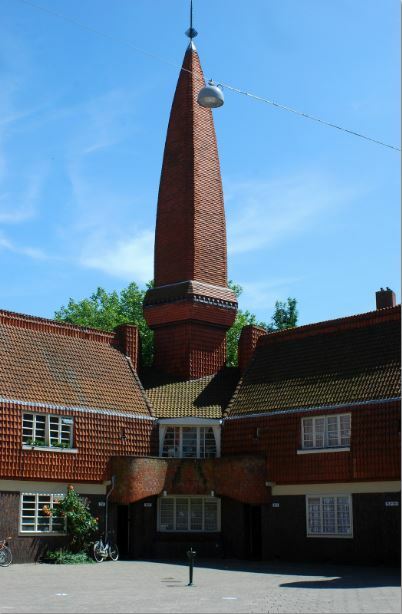 While Het Schip’s design harmonises with its neighbour’s courtyard to form a continuous space, a decorative tower was built to rudely display a red rooster – a symbol of socialism – to antagonise its religious neighbour. This was a step too far and was soon taken down. This aggressive socialism brings Het Schip into focus. Adrift in industrial north Amsterdam, it was a rude and confrontational building, heralding a new era for the city. 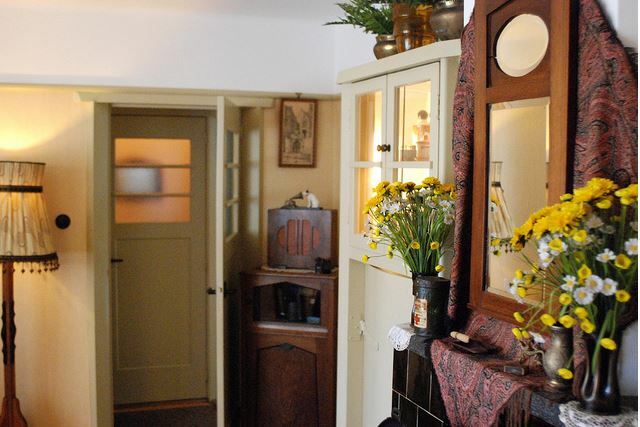 The Amsterdam School’s architects had been tasked with housing the city’s poor after a 1901 legal ruling that obliged the Netherlands to clear its older, substandard working-class housing. The ruling laid down technical, spatial and hygienic guidelines but crucially left more detailed building regulations to municipal authorities. Civic pride, and perhaps more importantly competition for funds, meant a high quality threshold for Amsterdam’s slum clearance housing. 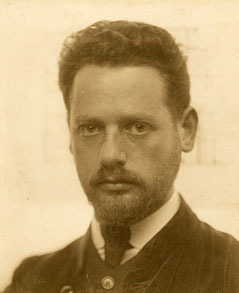 The appointment of Amsterdam’s first social democratic alderman, FM Wibaut, in 1914, sealed the Amsterdam School architects’ dominance of this new era – as socialists themselves, they appealed to his vision for the city. The extent of this project is obvious in the area outside the central canal ring – quite abruptly, Amsterdam’s inner suburbs are dominated by their work. It is unusual for a city to have such a concentration of high-quality housing by a single architectural school, a reflection of the zeal with which this progressive city attacked its slum clearance problem. Later, more modest Amsterdam School architecture makes up the rest of Spaarndammerbuurt, which as elsewhere in the city is still largely used as social housing. The area is one of Amsterdam’s more multicultural and, while poor, shows a sense of community engendered by planning that sees shops, parks and playgrounds overlooked on all sides by close-quartered residential blocks. Such a large slum clearance project needed an overview and it was the municipal authority’s town planner Hendrik Petrus Berlage who provided it. 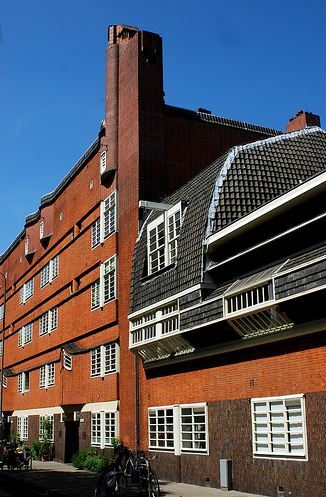 More technocratic than the Amsterdam School’s self-styled ‘artistic architects’, Berlage took a rationalist approach, drawing up precisely worked street plans with closely controlled distances between parks, shops, amenities and dwellings. There was some friction between him and the architects but it is as much his town planning as their buildings that led to the success of these urban areas. Crucially, both had free rein in their respective roles. South of Amsterdam’s canal ring lies the working-class district of De Pijp. Street markets cling on in an area that is rapidly gentrifying, following a pattern that has already seen the famous working-class district of the Jordaan taken over by the upwardly mobile of the city. Walking south of Prinsengracht, the outermost canal of the central ring, within a few streets the nineteenth-century apartment blocks of De Pijp subtly give way to Berlage’s greatest project, Plan Zuid. In the next post, I will show how the rebuilding of south Amsterdam took the experimentation of Het Schip and applied it to a revolutionary town planning project. This Tumblr post provides some images to enable you to follow up some of the architectural and building references in Ben’s article. Museum Het Schip has an English-language website. That’s a really interesting post. From travelling around the Netherlands you get the impression that there is a much clearer planning system both in terms of overall land use and at the neighbourhood level. 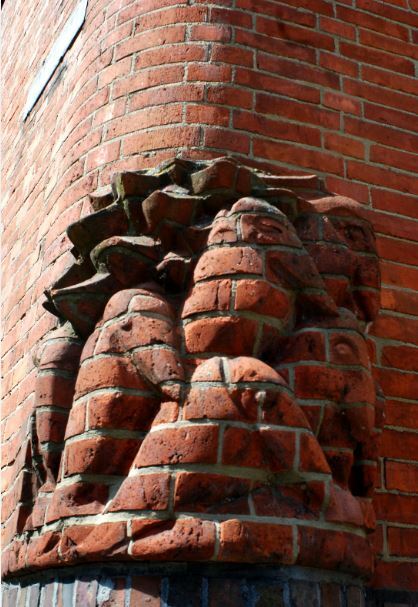 Some fantastic brickwork photos! Thanks runner500 – the Netherlands does indeed seem to have an intelligent attitude to town planning, which I suspect is down to the high level of management needed just to keep the North Sea at bay, which will create a forward-planning culture. I’d like to visit The Hague, which is one of the densest cities in Europe and apparently similar to Japanese cities in design. A visiting Brit can be quite taken aback by the apparent functionality of Holland’s cities, but like France they have poor “banlieue” suburbs the visitor doesn’t see. I’m going to try and visit some of these on my next visit to Amsterdam. I visit frequently because I have a British friend who moved there a few years ago, and unfortunately he has noted a division where poor immigrant communities are relegated to suburban estates. It’s not something I know much about now, but I hope to write about it in future.